Depict company structure with organization chart. Present flow of data with Data Flow Diagram (DFD). 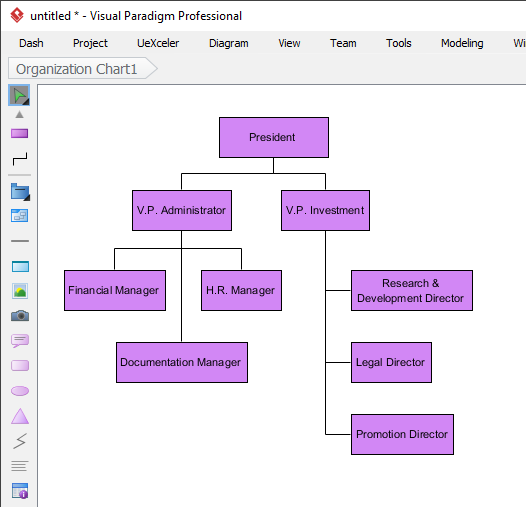 Our organization chart software lets you represent the company/team structure with classical organization chart. Organization chart represents the people, jobs, positions, their relationships and ranking within an organization structure. Use stereotypes to indicate the positions for organization units (e.g.<<Manager>>). Use tags to input any additional properties associated with the jobs. Move a branch of units to another branch with drag-n-drop. Click-to-add a new sub-unit or a sibling unit. Thanks to the resource-centric diagramming interface, adjacent units are automatically positioned without manual touch-up. Represents the flow of business processes within an organization using a Process Overview diagram. 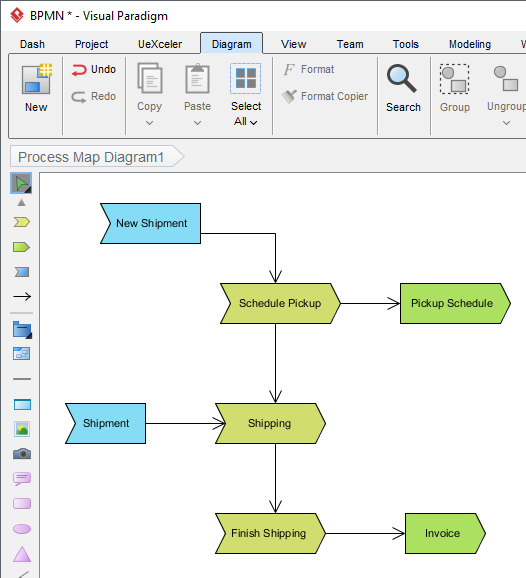 While modeling middle to large organizational workflow in a single business process diagram is virtually impossible, process overview diagram provides you with an overview of business processes. Therefore, process overview diagram is a good starting point for top-down modeling approach. The Event-Driven Process Chain (EPC) diagram is a flowchart-based diagram designed to layout business processes. This is used in Enterprise Resource Planning (ERP) and for business process improvement. 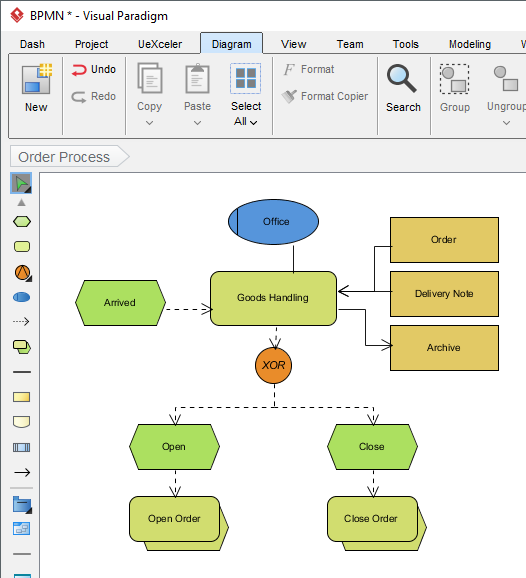 Our EPC diagram tool lets you create EPC diagram with ease. 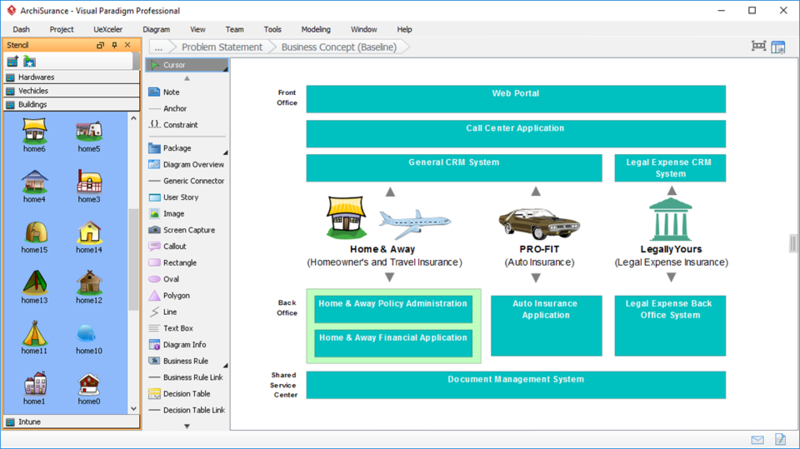 Provide a less formal and rigorous high-level representation of business processes and organization structure for business audience.